We would like to introduce David and Tricia Bregman as OwnerRez's VROTM! The Bregman's live in Orange County, California. 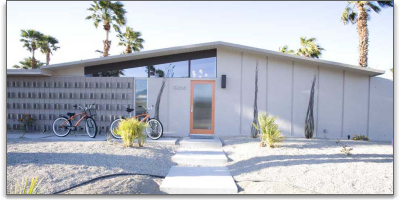 David and Tricia own two vacation rental homes in Palm Springs. They bought their first rental in July, 2007. Originally purchased as housing for a disabled relative, it was eventually renovated and turned into a profitable income stream as their first vacation rental! "Our favorite part about a being a rental owner is creating and running a successful side business that is making us money. It didn't take much time after we got it up and running. We outsource key aspects of the rentals (greeting guests, housekeeping, and maintenance) but respond to inquiries and do the bookings ourselves. We each work full-time plus we have two children under 10 so life can be crazy at times. Very rarely does the vacation rental business take us away from the top priorities in our lives." Like most of our users the Bregman's most useful listing site is VRBO. For their first home they advertised on VRBO, HomeAway, Vacation Home Rentals, and FlipKey/TripAdvisor. Luckily David and Tricia do not face a lot of obstacles with the rentals they own, however like most of our users sometimes they must get involved directly when guests have issues with Internet Access, Cable/TV issues, or Pool/Spa heating issues. 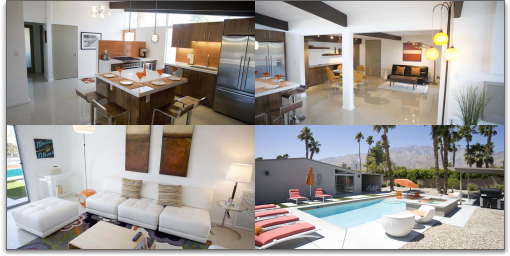 They minimize guest problems by having strict vacation rental policies. Rules like minimum rental age being 28 and their security deposit being a $1,000 hold on a credit card. They believe this has directly correlated into very few rental problems. In two years, they only had to deduct from the security deposit 4 times for damage. "OwnerRez has completely simplified the booking process for us. Guests want to pay with credit cards and they want straightforward policies. OwnerRez allows us to manage everything without having to ever take someone's credit card information. Our business would be much more complicated if we didn't have OwnerRez as a tool." We wish The Bregman's all the success in the world with their vacation rental business and thank them for continually being loyal users. Good luck on your next rental purchase!